My family and I love to go camping! We have gone camping so much this summer. 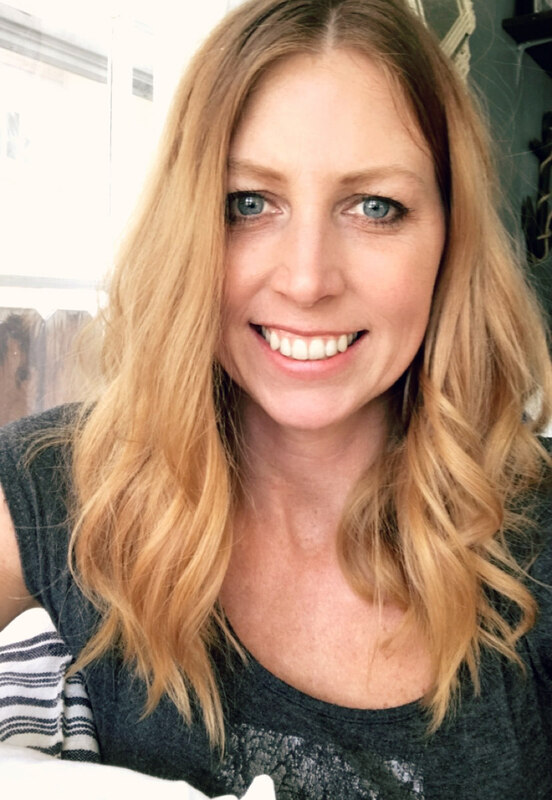 It is such a great way to really enjoy some fun family time together without spending a whole lot of money or traveling very far. There is just something so exciting about being out in nature; playing in the lake, relaxing, exploring, and of course, sitting by the camp fire, roasting marshmallows, talking and laughing as we watch the stars come out in the big open sky. But now that the weather is getting cooler, I'm guessing we wont be going camping again until next summer. So to hold on to some of those precious camping memories, I decided to give our living room a camp inspired, cozy, cabin look. Which is also so perfect for fall. 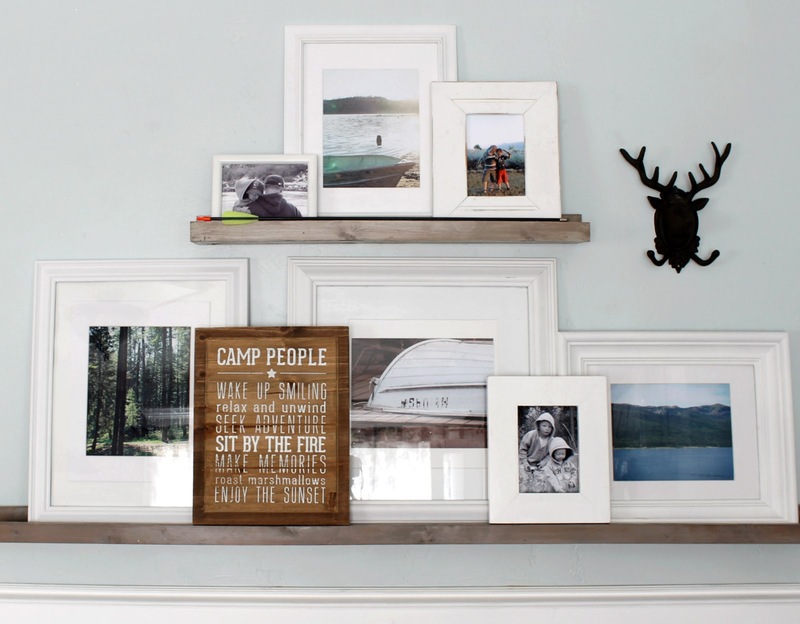 I switched out the pictures on our gallery picture ledges for some of my favorite camping trip photos. Although, I did keep the big picture of the boat, because I felt like it still fit in with the others. 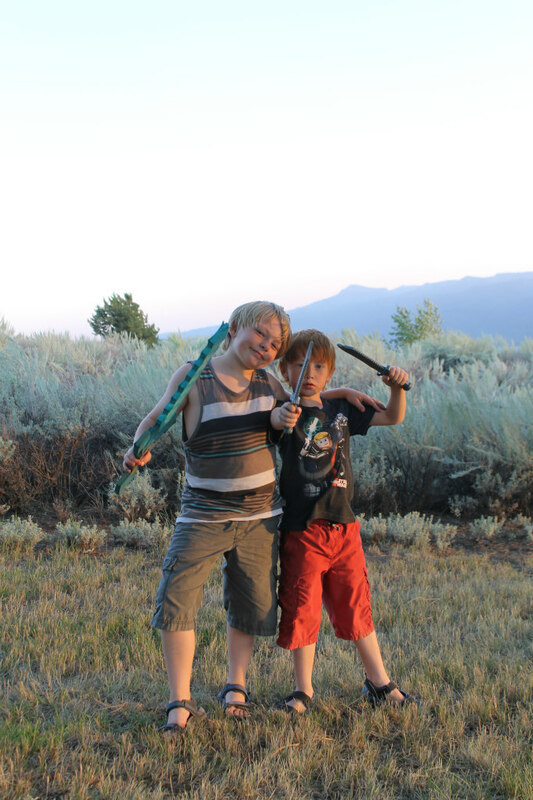 This picture I took of my boys while camping makes me smile so big. 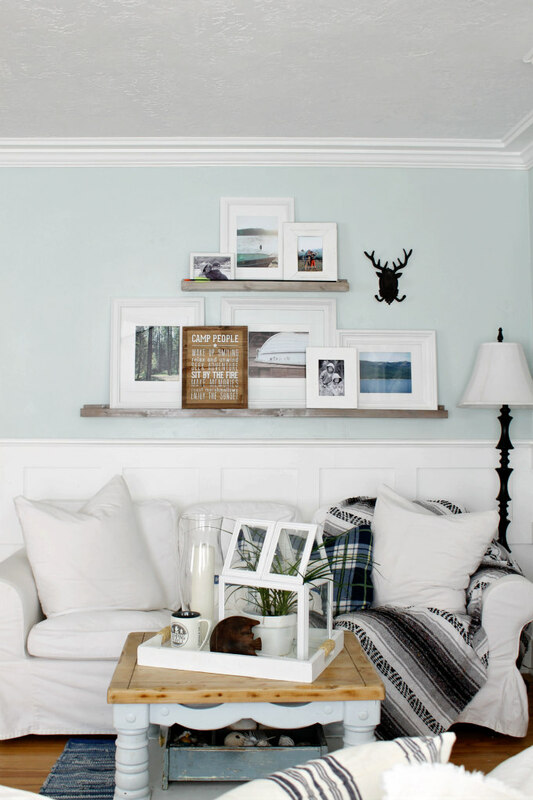 To learn more about my DIY picture ledges, please visit this post here. Now how perfect is this Camp People sign? 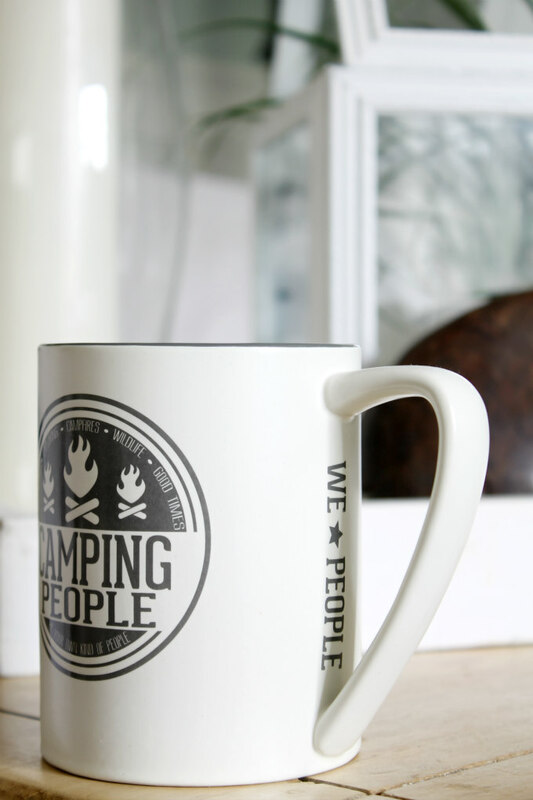 Along with the sign, I also picked out this Camping People Mug, which has been so fun to drink my morning coffee from. I plan to take it with me the next time we go camping to sip from while sitting by the fire. It's from a brand called, We People, sold at Pavilion gift. They also carry it in; lake people, beach people, football people, and many others. I couldn't be more thrilled with the personal touches I've added to our home, thanks to Pavilion gift. It's always the little things that bring the most joy. 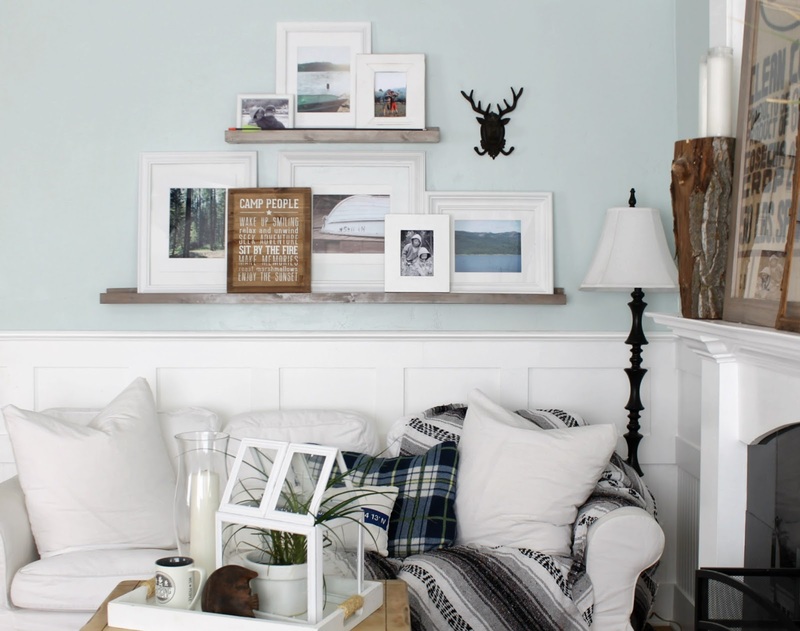 I'll be back later to share more cozy touches I've added to our living room. Very pretty! 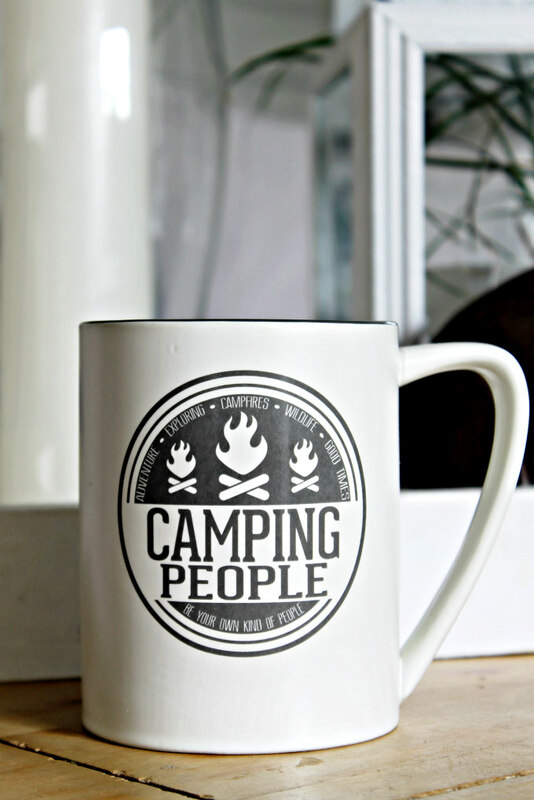 We are camping people too. 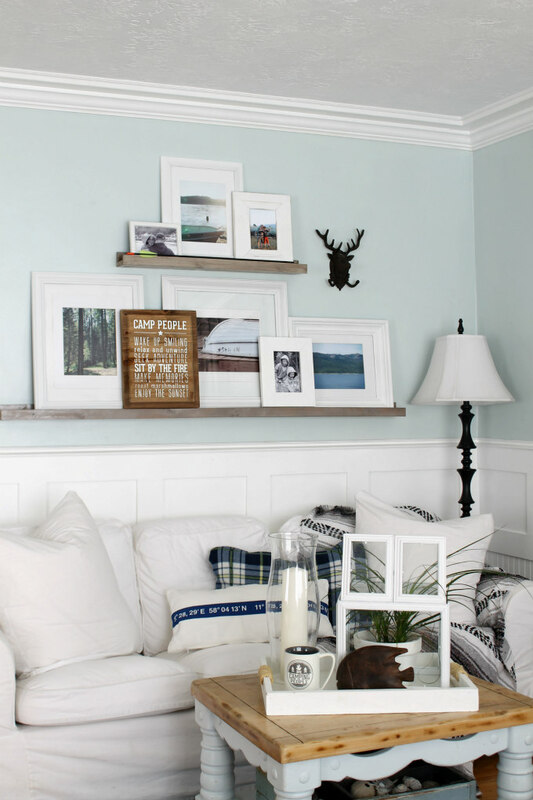 I need to get a couch and need to paint our basement tv room and kitchen but it too will have a cozy cabin-camp look. Really great theme. It looks great! 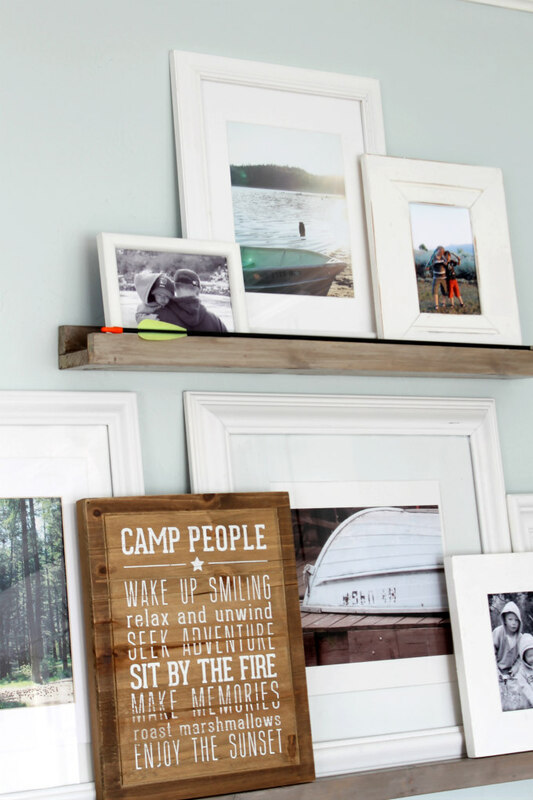 I love the close up picture of the upside down boat on the dock :) I am looking for inspiration for some shelves and have come back to your blog a few times.